Soulection can best be described as the one stop shop for all things soulful. The reputable label truly pride themselves in providing conscious, quality music to the listening masses. 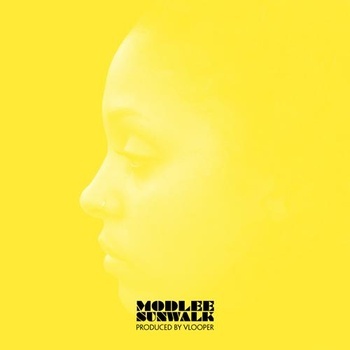 For their twelfth and latest installment, Soulection presented the Canadian collaborative duo Modlee & Vlooper's new EP, Sunwalk. The opening track on the five track EP is a special cover of Bilal’s "All Matter", which was featured on both Robert Glasper's album Double Booked and Bilal's Airtight's Revenge LP. For the cover Vlooper slows down the tempo and replaces the driving percussion that characterized the original song with a more simple and laid back kick drum and hi-hit combination, which provides the perfect minimal soundscape for Modlee to showcase with her vocals. The singer/producer duo have an undeniable chemistry that is heard and felt throughout the EP. The forward-thinking sound and direction of Vlooper's production complements Modlee's rich vocals. I am not one to compare artist often; however I'd be remissed if I didn't note the similarity in tonal quality and vocal depth that exists between Modlee and Erykah Badu. Such a similarity can best be heard on tracks like "Doo"and "Dancin'". Believe me, I say that not to take anything away from the Modlee and her gifted vocals. Modlee possesses one of those rare voices that has the power to give you chills while listening. The combination of her vocals and Vlopper's production make for quite the treat. While this is a free release, feel free to donate and support Modlee & Vlooper and Soulection. This project is definitely worth it.